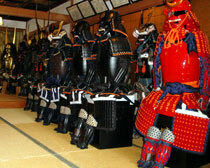 The manufacturer Marutake is Japan’s, and the world’s, premier producer of fine Samurai Yoroi Armor. 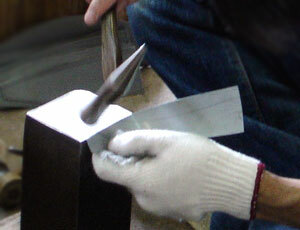 Located in Satsuma-Sendai city of Japan’s southwestern Kagoshima prefecture, their reputation for creating products of unparalleled quality has given them over a 90% share of the Japanese armor market. From television dramas, such as “Yoshitsune,” to feature films, including Akira Kurosawa’s classics, “Kagemusha,” and “Ran,” Marutake has shared the spirit of the Samurai with the world. Having produced thousands of suits of armor, their clientele extends from the entertainment industry to temples, museums, and even the Queen of England. Samurai Store knows that true Samurai fans could never be satisfied with the inferior, mass-produced armor that comes out of many parts of the world. That is why we only offer authentic, life-size, wearable Samurai Armors and helmets that are 100% handcrafted in Japan by skilled craftsmen. Each suit of armor is researched and modeled after examples found in museums, private collections, temples, shrines, hidden storehouses of Samurai clans and other historical sources. 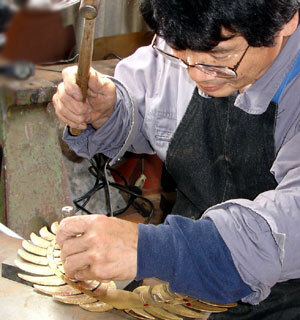 All pieces are painstakingly handcrafted by experienced artisans, using authentic methods and materials. For instance, one of our helmets can consist of up to 42 hand-spliced iron plates, as opposed to the cheap machine-pressed bowls you may find elsewhere. 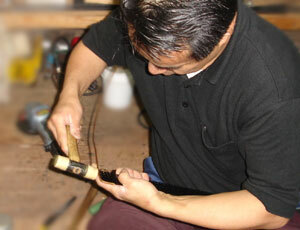 Even a small header board, splint, or helmet lining will be completed by a skilled, veteran artisan. In fact, a single suit of armor may require the specialized skills of over 20 craftsmen. 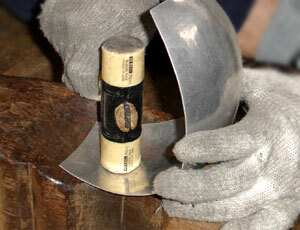 Furthermore, all of our body armors and helmets are made solely of iron or genuine leather. We use no plastic, whatsoever. The results of this commitment to quality are finely finished, superbly detailed suits of Samurai Armor that look just as incredible on as they do on display. Samurai Store was given an all access pass to the worksite of our manufacturer, Marutake, in June of 2006. Entering their factory in Satsuma-Sendai city, Kagoshima, Japan, we took this opportunity to chronicle the birth of one of our quality armors. We hope you enjoy this small glimpse into the process behind each of our products. 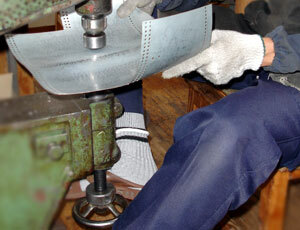 Note how all of the iron pieces for both the body armor and helmets are being fashioned by hand. Our parts are never machine-pressed, as with other manufacturers. Also note the absence of any blueprints or patterns. Our skilled artisans store the precise designs, details and measurements in their heads and in the muscle memory of their hands, as it takes 5-10 years to become an accomplished craftsman in this team. We greatly appreciate the hospitality extended to us by Marutake Sangyo’s factory director, Mr. Hirabayashi, and would like to thank him for the privilege of exhibiting these pictures here. We thoroughly enjoyed our visit, and were overwhelmed by both the skill of the craftsmen’s hands, and by the passion in their eyes. It is truly an honor to share with the world these suits of armor, carefully crafted through the dedication and inspiration of the artisans’ souls. Want To Take an Actual Tour? The next time you’re in Japan, be sure to visit Marutake’s Samurai theme park, “Sengoku Mura (Warring States Village),” a stunning recreation of a 16th Century Japanese castle town. Samurai Theme Park "Sengoku Mura"